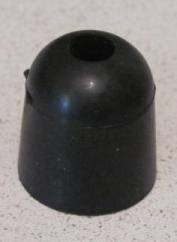 1" tall X 1" in diameter, in black. Installs with a washer & screw through the hole in the center. Install on the body of the trailer where the doors may make contact (will prevent dents and scratches). Black.